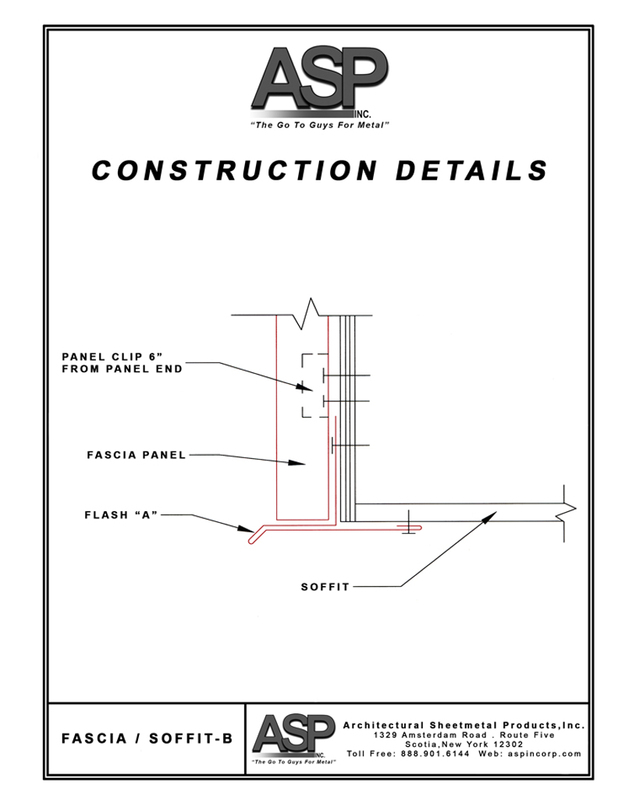 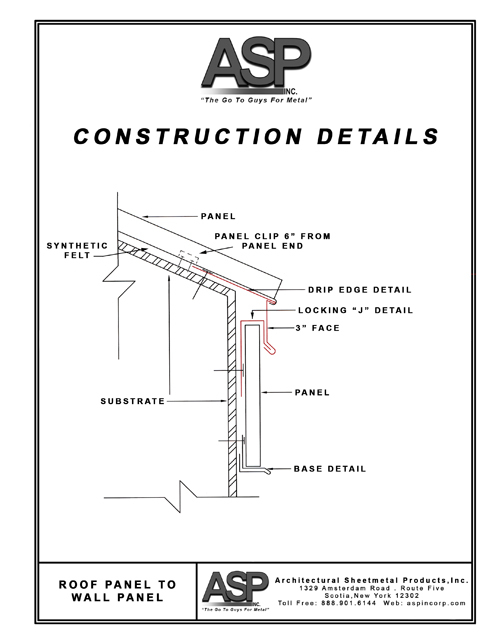 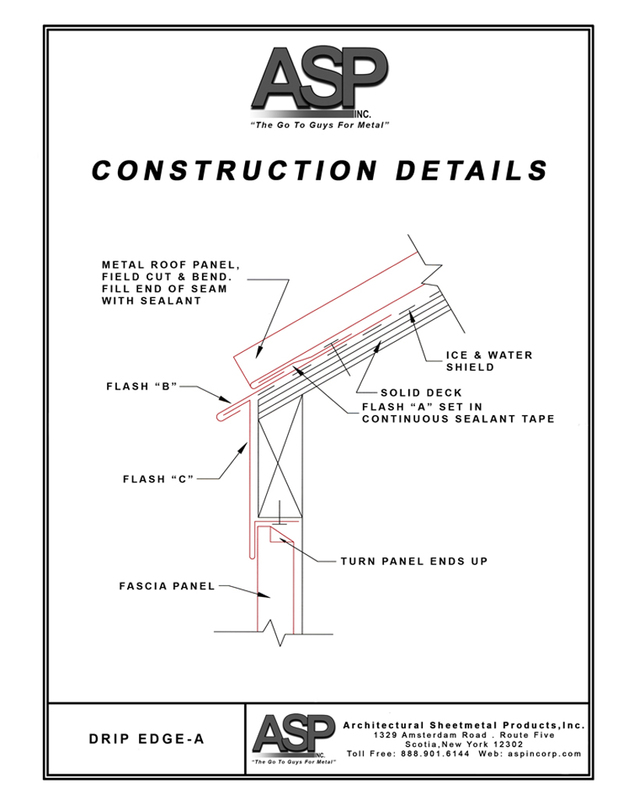 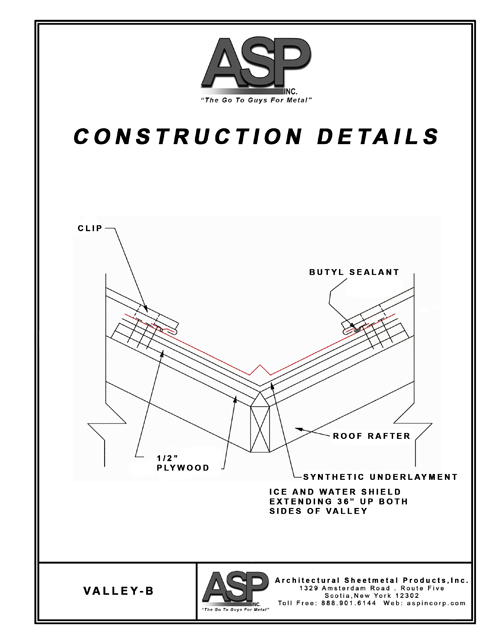 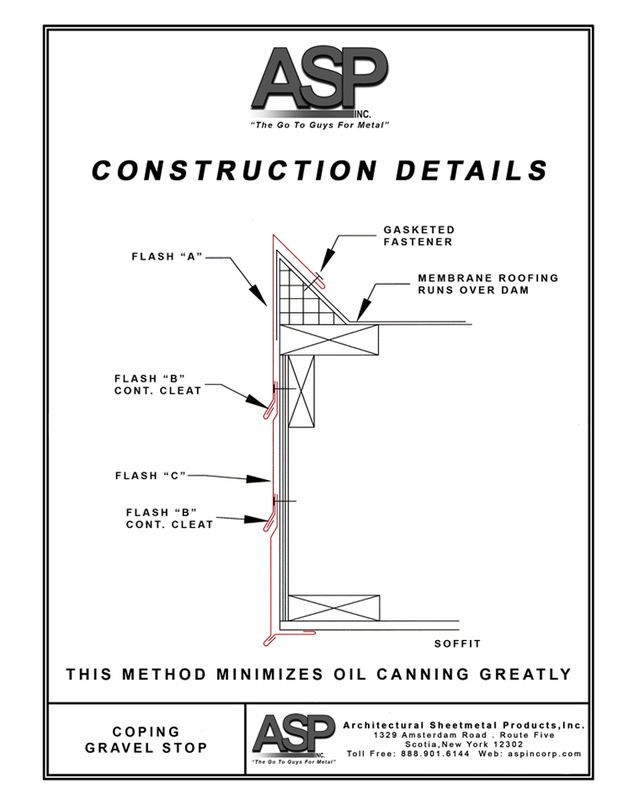 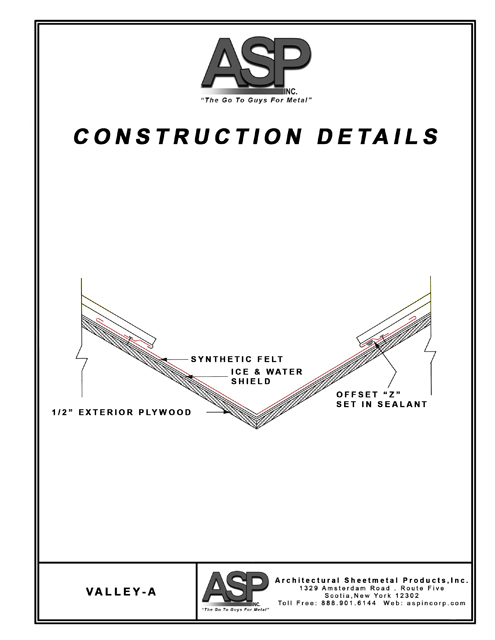 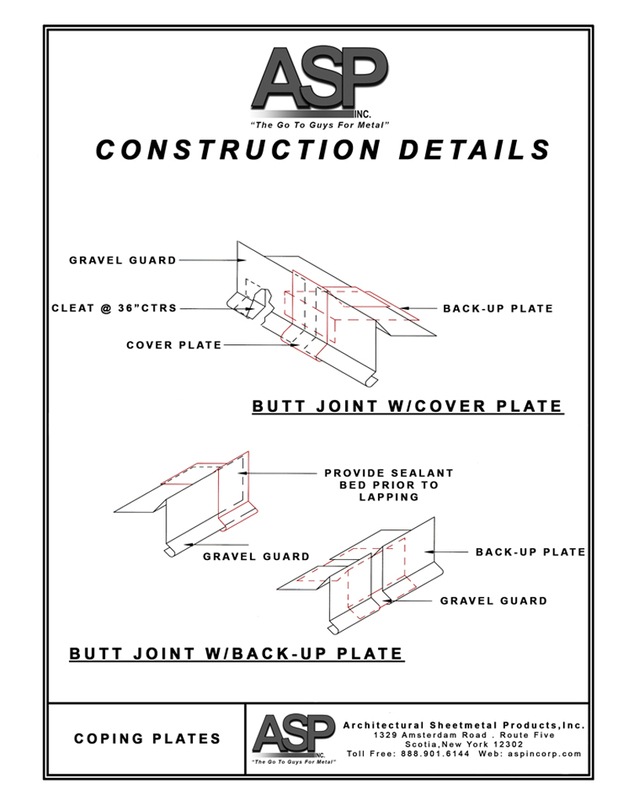 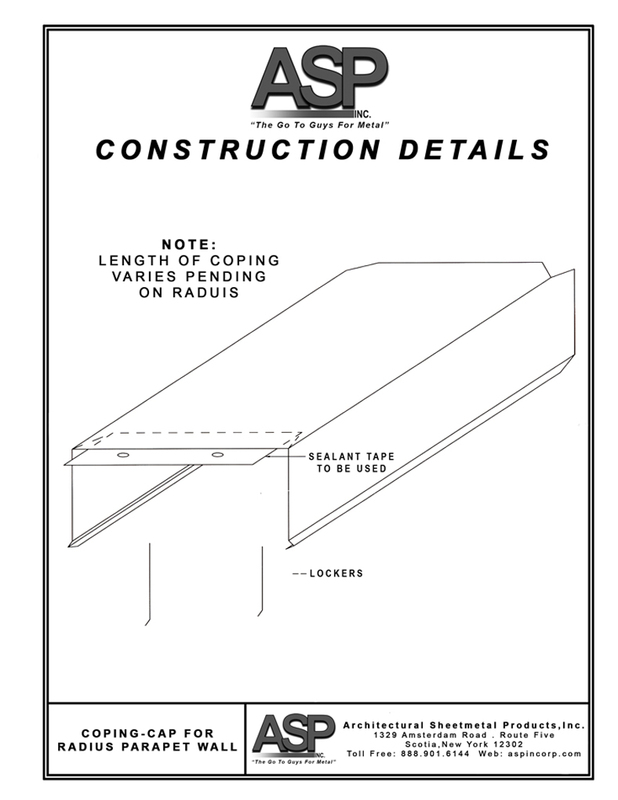 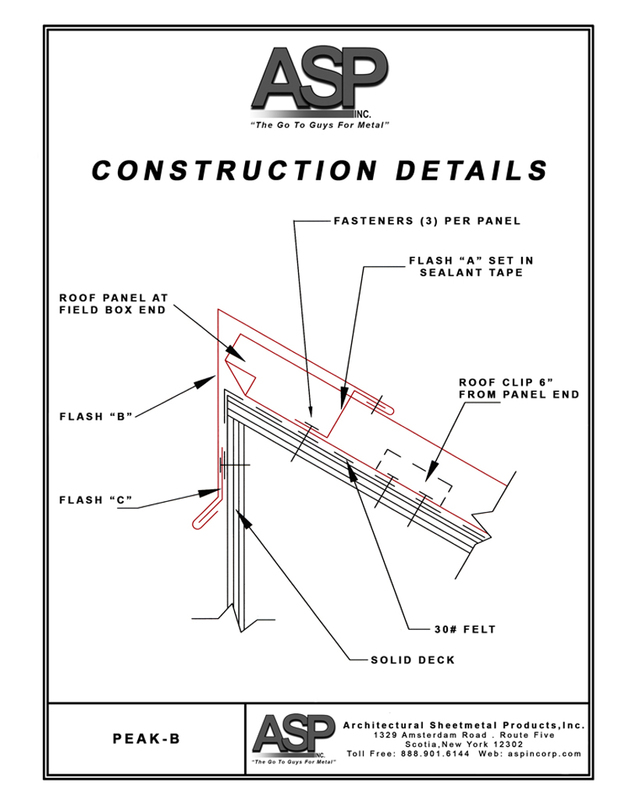 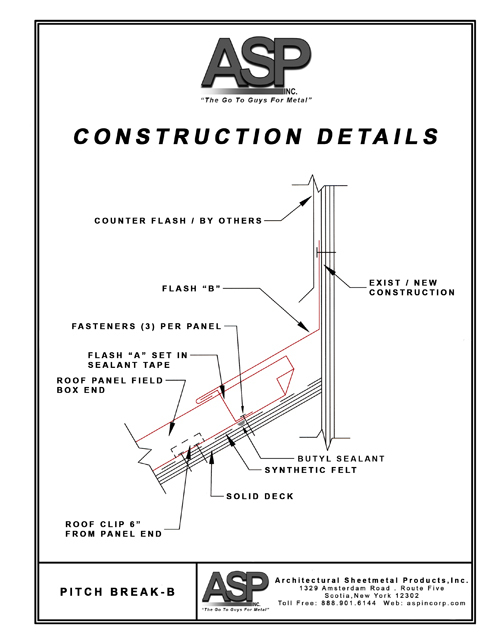 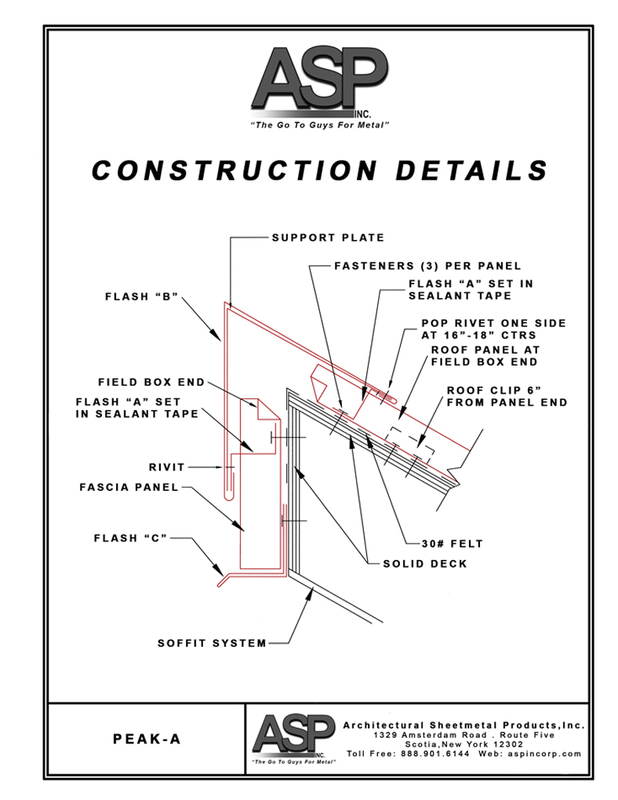 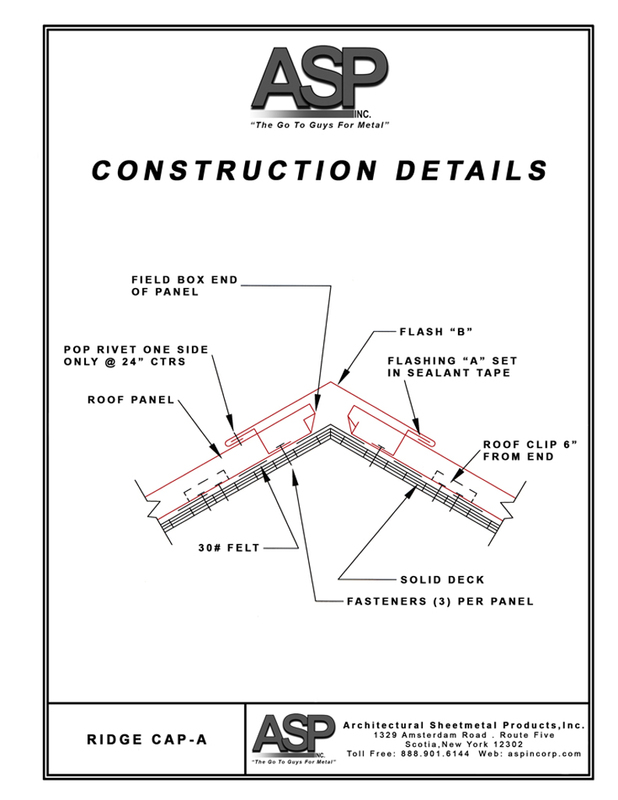 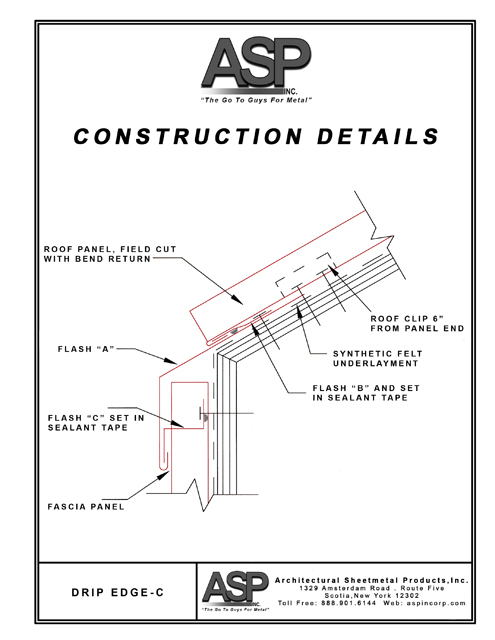 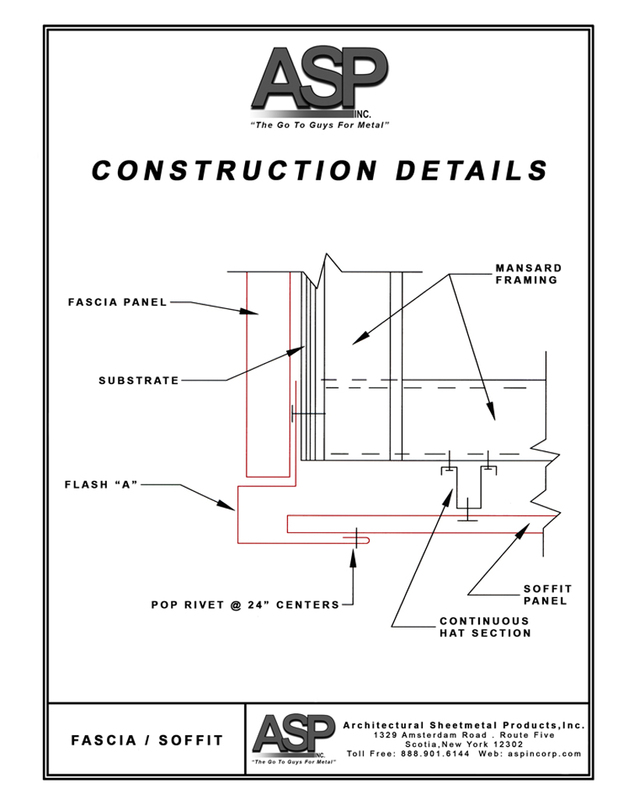 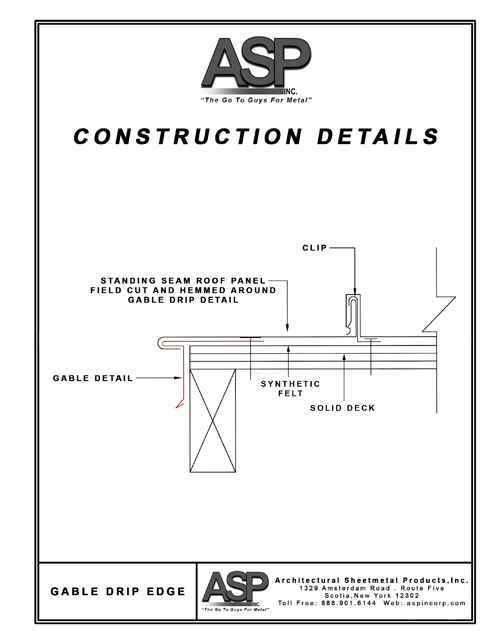 Listed below are downloadable acrobat (PDF) Typical details that are used to install a correct standing seam panel. We at ASP, Inc., realize that no two roofs are the same and Typical details do not always work on every roof or panel application. 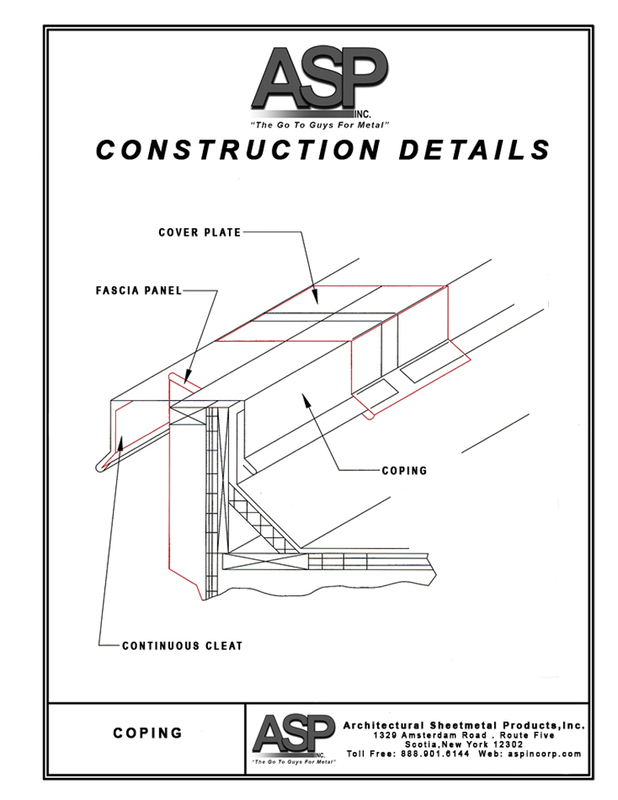 We have a full custom sheet metal shop to custom fabricate any detail you may require for your next job.